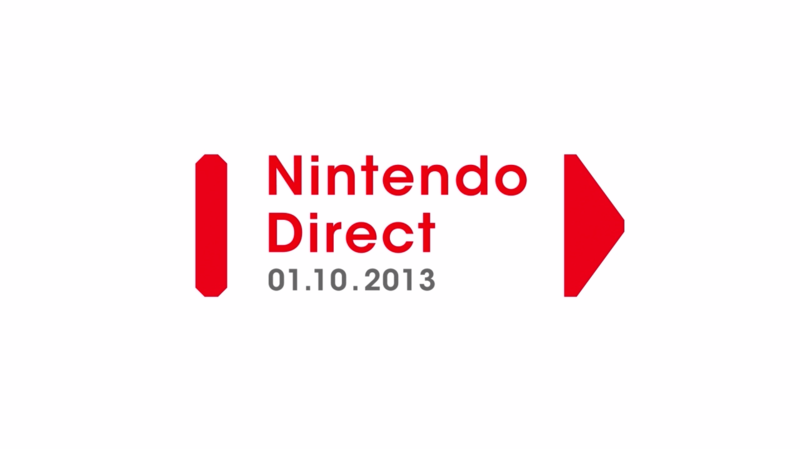 Nintendo streamed a Nintendo Direct presentation today, with lots of information about WiiU and 3DS titles. If you missed it, its embedded below, and you can check out our thoughts on the titles shown after the video player. Follow along with our guide to the Nintendo Direct stream! Super Mario 3D World Wii U – Mario, Luigi, Princess and Toad star in what looks like a fun platforming experience built on the 3DS title. Cat Suit, Multiple Marios and a Boomerang Bros suit appear amongst other power ups. This game looks really pretty, and shows what Nintendo can do with their own hardware. This seems like much of the sentiment of the Mario Galaxy games from the Wii – Nintendo can do right by their platform with first party titles. Looking forward to digging in to this on November 22nd. Donkey Kong Country: Tropical Freeze is delayed until February 2014. Nintendo says they need a little more time to make it right for release. The fact that they’re willing to push back first party titles shows they want to releaes quality products, but the library of WiiU content is already dwindling. Mario & Sonic at Winter Olympic Games Sochi 2014 – Lots of events shown including speed skating and snowboarding. Online play is a first time addition, and it seems on par with other titles in the series. Super Smash Bros for 3DS and Wii U will include Sonic the Hedgehog. Blue Blur vs the Blue Bomber! Pikmin 3 Mission Mode DLC is coming, and if you like Pikmin, you should buy in on this. Nintendo’s DLC offerings are usually a good bonus – and some of it is available today, after updating the title. Etrian Odyssey Untold: The Millenium Girl – JRPG goodness, lots of anime cutscenes. EO is a big dungeon crawl/map building title and has lots of things to do. There is a collecters edition available. If you’re interested in EO, you might want to check out the existing demo in the eShop for the last game in the series. Skylanders Swap Force: 3DS, WiiU and Wii. More collectibles, 250 new characters by swapping top and bottom halves of the toys. 3DS lets you upload your characters so you can be more mobile. It will be interesting to see the numbers of Skylanders vs Disney Infinity after Christmas. Sonic Lost World is Sonic’s return to full on platforming action. WiiU Gamepad has motion controls. 3DS looks really good too and is the first fully 3D Sonic game on the platform. October 29th. Assassin’s Creed IV Black Flag – looks like Assassin’s Creed. If you’re not already invested in this series elsewhere, the WiiU Gamepad may have additional functions to twist your arm to come to this version. Graphically it looks fine based on the video shown. October 29th. Ace Attorney: Dual Destinies coming to the 3DS eShop. Classic Phoenix Wright gameplay and characters return in 3D. Demo is available now on the eShop! Oct 24th launch. I object to this being eShop only! Oh hey, Windwaker HD is out soon. There’s a blue lobster shirt in Animal Crossing, and you can scan the QR code to get the shirt, then go pull weeds or collect bugs or whatever else you do in Animal Crossing thats keeping you from real life. 2DS final hardware shown, launching alongside Pokemon X/Y on Oct 12th. Nothing new here. StreetPass is being updated in the next few days to allow more users to take advantage of the service. If your 3DS is in sleep mode and you pass through a Nintendo Zone, you’ll street pass with the last 6 users who were there instead of the last one. Nintend is also launching more free DLC for other games like Kid Icarus, Mario Kart 7 and more through Nintendo Zone locations in October. BRAVELY DEFAULT – Coming in Q1 2014, trailer shows Square Enix/Nintendo partnership – looks like a mix of Final Fantasy IX and FF: The 4 Heroes of Light. Appears to be another reason to own a 3DS if you’re an RPG fan, this year and next year seem to be full of awesome content. Zelda: A Link Between Worlds – Nintendo breaking out of the trope of New Dungeon -> New Item -> Related Puzzles. This traditional approach is being reconsidered in ALBW. Dungeon order and world progress is up to the player, as the player can rent (or purchase) the items from the get go. Neat concept. In a strange aside, Nintendo makes reference to the similarity between Nabbit and the Shopkeep – made a clear point that the characters are not the same. New Kirby title for 3DS. It doesn’t matter what happens, this will be cute as can be. The Kirby games seem to always get away with having strange or quirky concepts but typically end up being a lot of fun to play regardless.